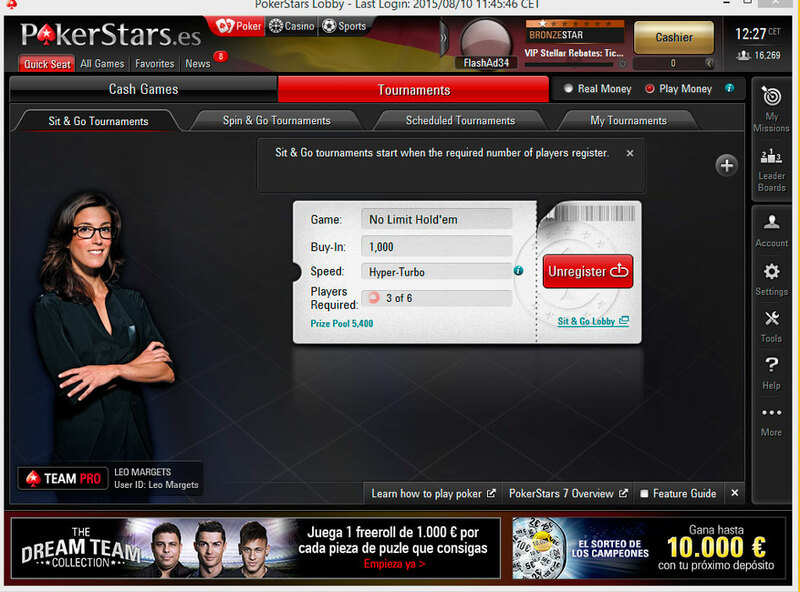 "Play poker like a professional with PokerStars"
You have probably heard of PokerStars it’s the internet’s most popular poker site and recently has added Ronaldo and Neymar to it’s advertising campaigns. 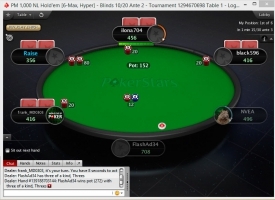 PokerStars is a free download and once downloaded you have a shortcut from your desktop to go straight in to the game, you can play for play money or for real money, so you can practice a little before you decide to part with your hard earned cash. If you are familiar with the game of poker there is not really much for me to tell you here, the layout of the site is well done, according to reports it’s a very safe and secure site so you don’t need to worry about losing any money through scams, just perhaps if you are not a good poker player. If you would like to play for real money then you must go through a verification process to make sure you over 18 years of age, however the play money part of the site is open to everyone who wants to come along and practice their poker skills. There is a range of different tournaments to choose from on both the play and real money sites and many special offers and special seasonal tournaments. 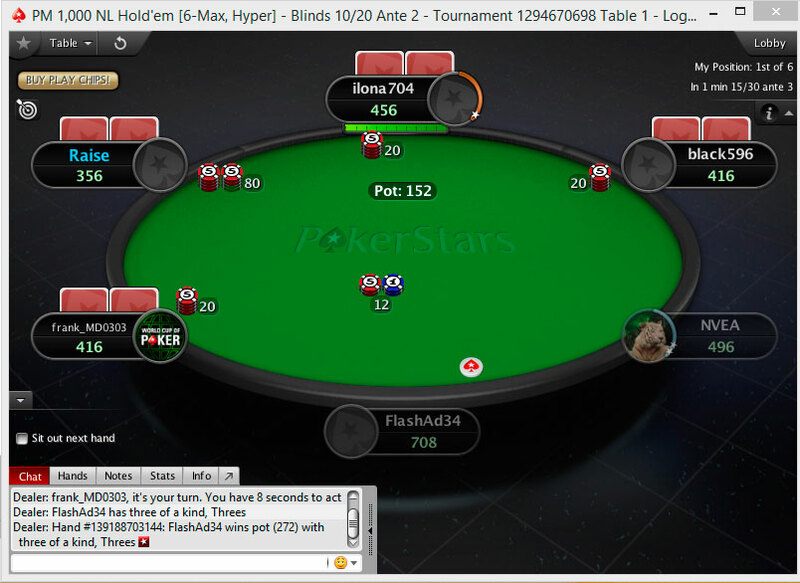 Playing for play money can be a little frustrating in PokerStars at times because no one has anything invested in it there tends to be a lot of aggressive poker play and people going all in (which is to bet all the chips you have on one hand) very frequently which is not much help for the new players who are using play money to get a feel for the game before moving on to bigger and better things. Whilst we would never condone gambling here at Rocky Bytes if poker is your bag then you could do far worse than to download PokerStars.